Increases market share consequently for the past 3 years from 27% to over 32%. Ten fold increase in touch point in last 5 yrs to over 2600. Targets 1:2 ratio of export to overcome domestic volatility. Won 12 out of 13 defence tender in last year. The year 2016 – 17 was in deed a roller coaster for Indian Automotive industry. Starting from the demonetisation nothing went right till the end, when Supreme Court clean bowled with a “No Ball” by making a judgement, that BS III vehicle can’t be registered from April 01, 2017. The Judgement is still debatable as it was unusual against past. There were huge levels of inventory piling up and every manufacturer has to find their way in and out to sell / modify / convert / export the available inventory. Challenges are not over and the best part is yet to come – Implementation of BS VI emission in just 3 years from now at 2020. No other country in world has undergone this kind of quick transition in emission and it look a decade in Europe to complete this transition smoothly. With respect to Ashok Leyland adverse situation was not just limited to this year but for past few years. Company was undergoing greater pressure in cash flow and had high levels of Debts as well. The OEM have successfully mitigated the debt-equity ratio from 2.4:1 sometime back to around 0.2 this year. While profits were shrinking for the past few years, Ashok Leyland was investing heavily in new products and projects, and the sales figures and market share are evident for this. 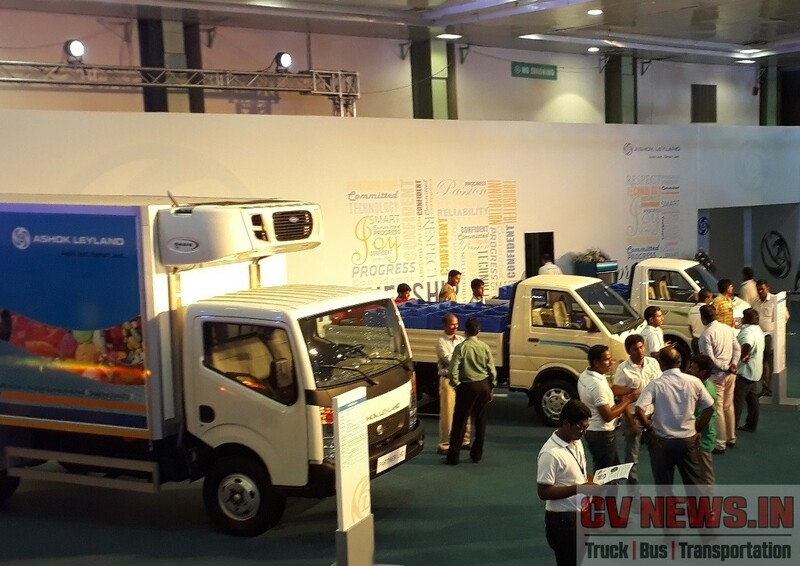 Ashok Leyland has just recently concluded a global conference in Chennai for dealers, Partners and Customers. The show was well organised with a huge array of trucks and buses on display. Precisely it was 30 vehicles and power solution products on display. 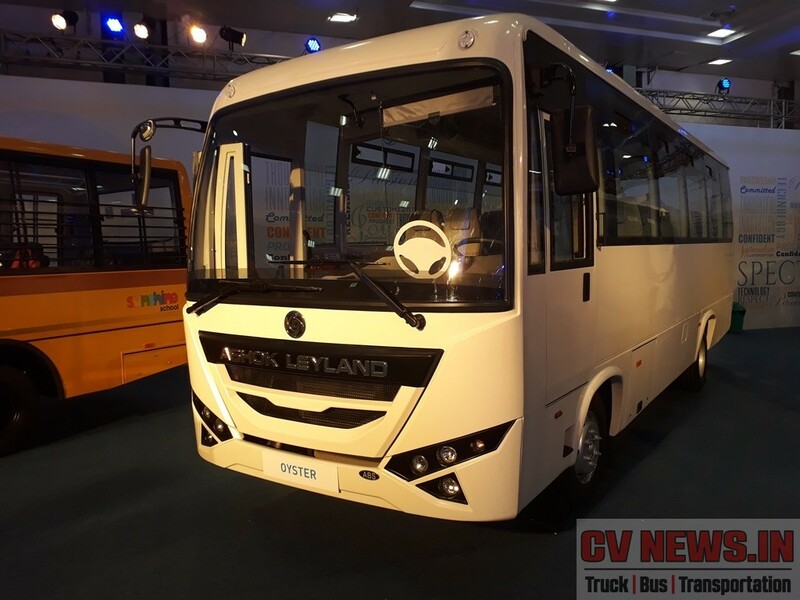 The show also detailed about the range of after market service options and how Ashok Leyland is strengthening its position in domestic market. Ashok Leyland gained in market share last year and completed the year satisfactorily. 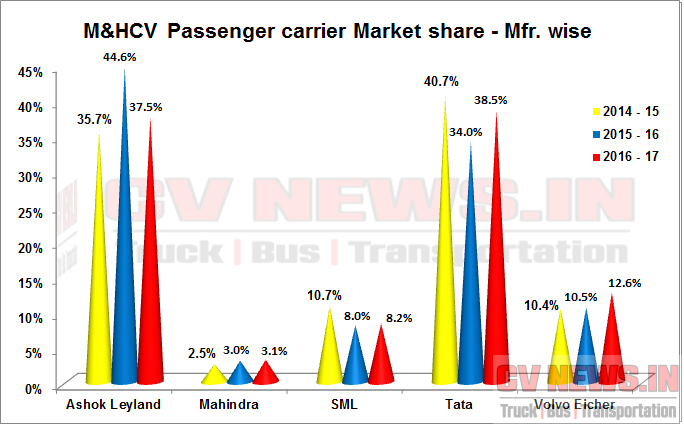 The company gained market share in most of the segments excepting bus, the only segment which Tata motors gained. We shall take through key outcome of the meet and how Ashok Leyland made a great positive year. 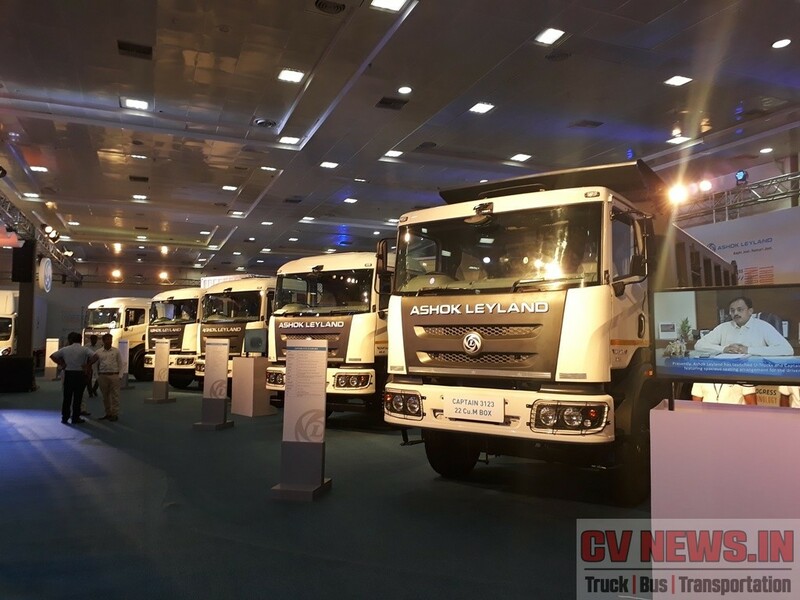 Trucks product line up is pretty strong and Ashok Leyland continues to fill each and every white space available in the market. 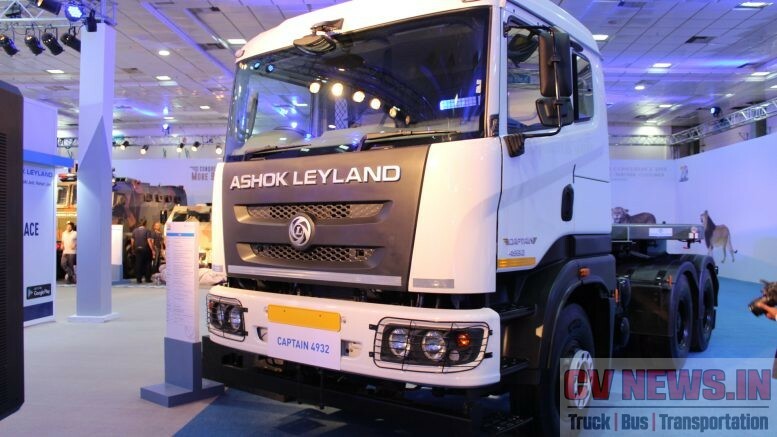 ‘Captain’ is the new heavy truck face for Ashok Leyland and will have complete line up of main stream tippers and tractors. Captain cabin is modular in design and can have multiple width and height and what we see currently is a “Eco Cab”. With Captain, Ashok Leyland will be comfortably addressing the upcoming Code of practice for truck cab building as well. Captain was developed in particular, that its not too premium neither basic rather to address the value segment. 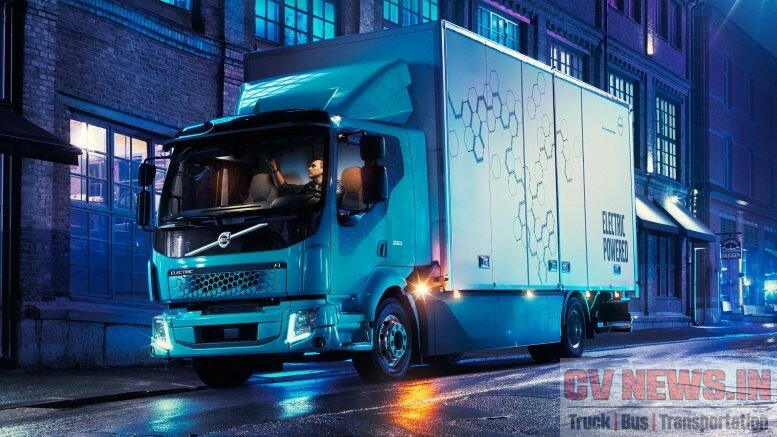 ‘Guru’ was designed to fill a addressable industry volume of of 50% in 12T ICV truck market, which itself has a volume of 50,000 nos. 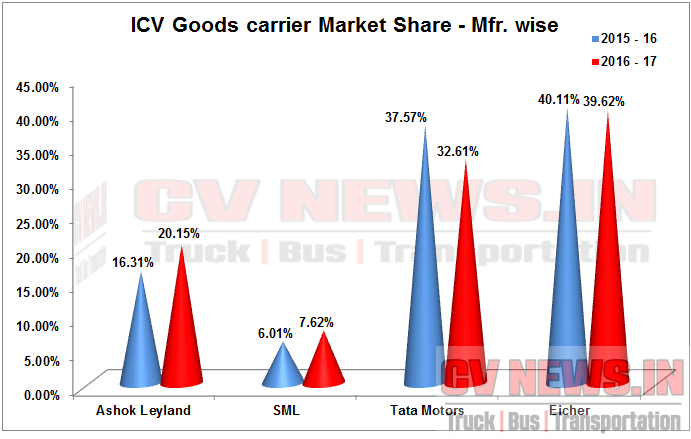 The 12T segment contributes to close to 60% of total ICV market and initially Ashok Leyland was only addressing the premium segment with Boss and overload segment with Ecomet. Traditionally Ashok Leyland trucks are perceived to carry more load, simply because of the fact they are more rugged. With more limitations on truck overloading, Hub – Spoke models coming up, trimmed and fit trucks are now preferred for select applications. These trucks gives better fuel performance and addresses related other requirements like quicker turn around time etc. “The basic axiom was, Best in class for all the parameter, and the product was developed without any compromise. We have better driving comfort, acceleration and yet 10% better fuel performance. We have written testimonial from Customer who could vouch for us”, mentions Mr.Anuj Kathuria, President Global Trucks. No matter a new drive line was designed specifically for the application and ‘Guru’ was born. Ashok Leyland sold more than 300 of them in last couple of months alone. In the last few years Ashok Leyland has been doing exceptionally well in sales and continues to gain Market share. In a simpler term, with little over 27% few years back, Ashok Leyland currently has a market share of over 33% over all. Ashok Leyland is able to do this with micro level understanding of market and addressed newer segments and feature requirements in existing trucks. 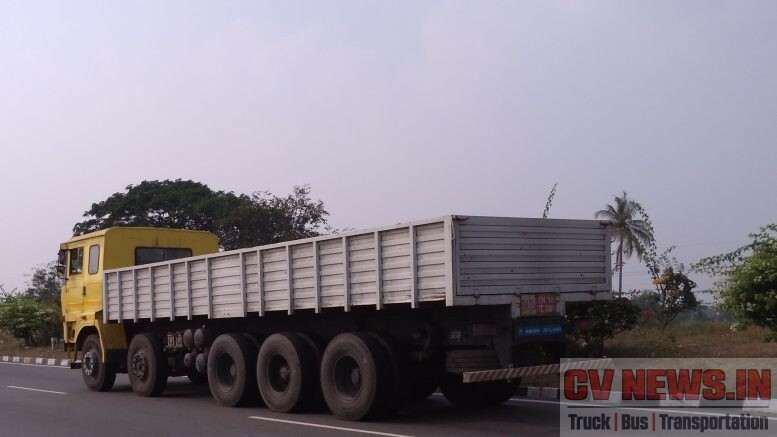 While Company is market leader and doing well in haulage and MAV segment, it has also gained sharply in tippers and tractors segments last year. Bulk of volume sits in MAV followed by Tippers and Ashok Leyland has a wide variety of products to address them as well. In newer segments like 37T rigid haul segment, Ashok Leyland continues to lead in a wide margin. Ashok Leyland has looked for growth across segments and geographies and gained market share each quarter last year. Primarily due to the sharp understanding of market at the hub level and it helps company to react quickly. Infact data from 500 odd hubs are analysed and ascertained to bring micro level product variants. Hubs primarily means, where there is a high potential for sale and operation of trucks. In case of Rajasthan, company doesn’t look as single entity but at the level at Bijapur, Jaipur, Bikaner and looks for the head room to grow. These sharp understanding of market dynamics have helped in a larger manner and was a key factor for growth. With more sales coming, Ashok Leyland is currently at 12th position globally in heavy truck business. 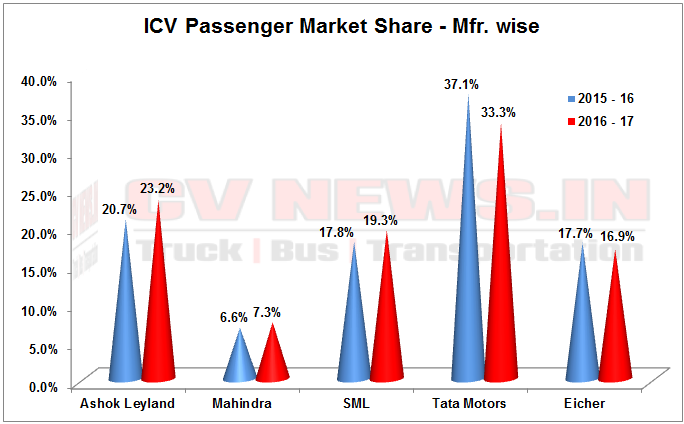 In ICV buses, Ashok Leyland was hovering between third and fourth place few years back and now this year, company has comfortably finished at second place gaining market share over 23%. 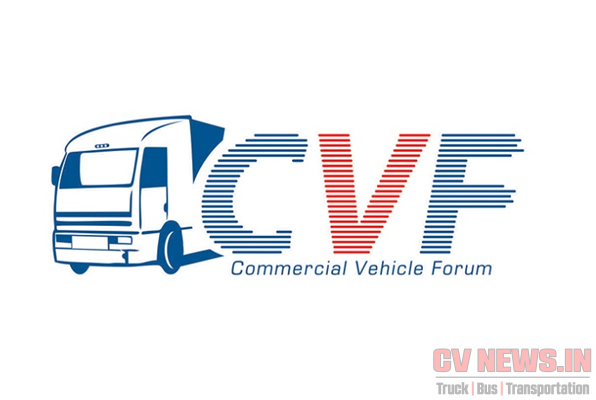 School buses has almost 50% of the Intermediate Commercial Vehicle bus segment. 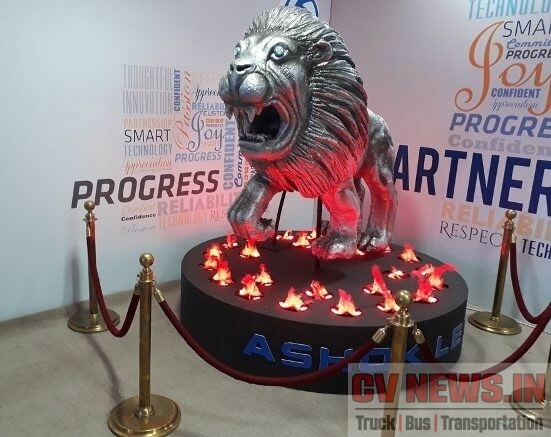 Ashok Leyland has pretty strong line up in School buses with Lynx Smart and Lynx Strong, yet sensing new requirements and feedback from various stake holders a new product “Sunshine” was developed. “Infact the need of vibrant seat colours were the inputs shared by School children during various interviews’ added Mr. T.Venkataraman, Senior Vice President, Global Buses . 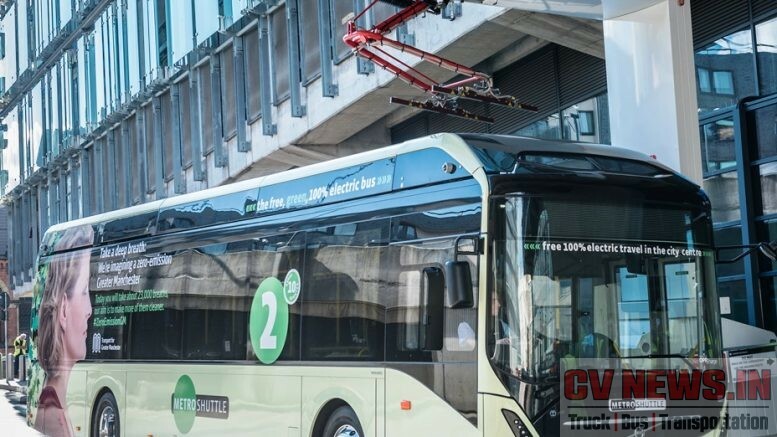 Developed in a record time from ‘board to road’ in just 18 months today Sunshine is fully roll over complied, frontal crash test certified bus and remember these aren’t mandated by law. Ashok Leyland came out of comfort zone to offer a safe seat for children. Addressing a media question on drop in heavy bus sales especially in STU business, Mr.Vinod Dasari, Managing Director and CEO, was clear “We are exiting few of the STU’s especially when we are not profitable and the growth we expect from them is not sustainable. Working with some of STU’s are tough and the payment cycle is pretty bad”. The differential number between Tata motors which took the centre stage in passenger market and Ashok Leyland is less than 500 nos and if Ashok Leyland managed to grab few of STU orders, then it should have continued its growth story. Otherwise the bus product line up is strong and continues to grow in private market. 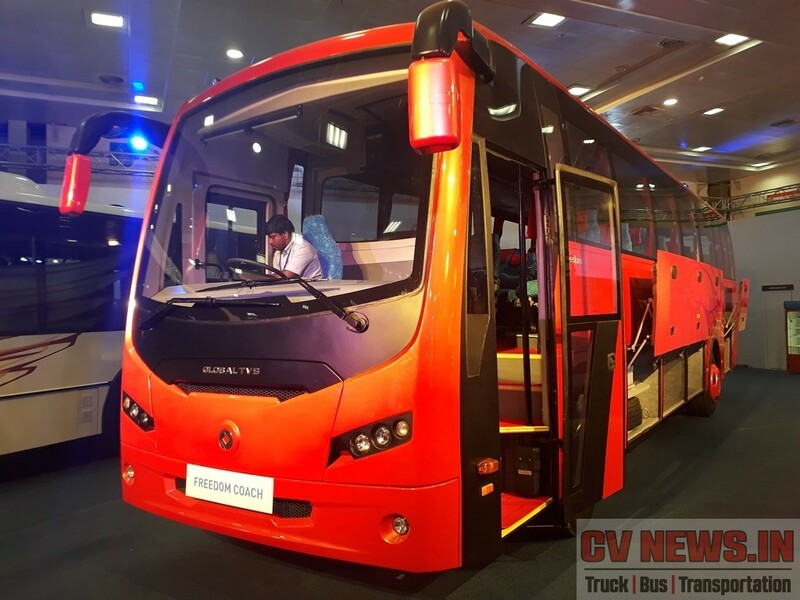 Ashok Leyland is indeed working on higher horse power multi axle coach and will be due for launch later next year. Ashok Leyland’s mission is to be at global no.5 in bus sales and indeed it has reached 4th position and continues to stay there. 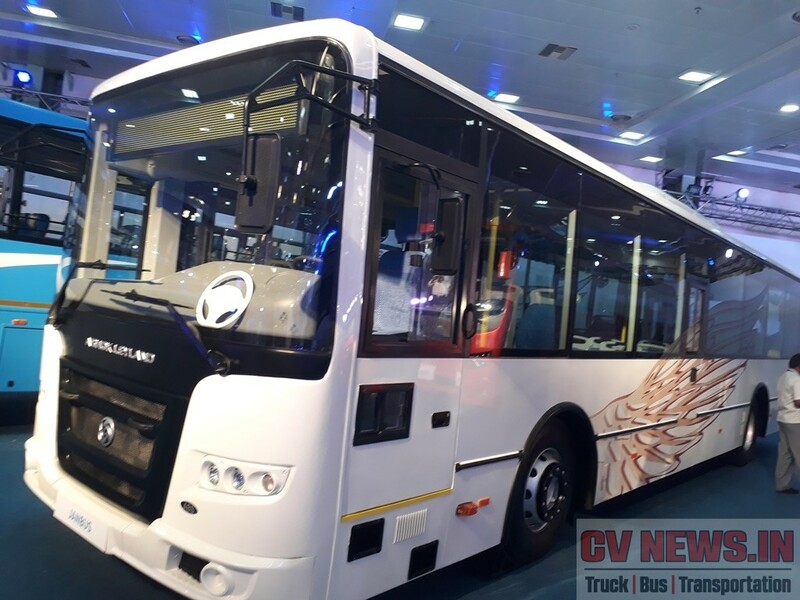 Addressing the requirement of fully built solution, and to compliment Ashok Leyland’s leadership in Intercity bus application, ‘Freedom’ a new coach was launched by Global TVS, during the event. The coach is fully certified for rollover and had high level of fit and finish compared any road going coaches built by third party and OEM’s. Intelligent packaging and smart positioning of aggregates led to the fact that the coach enjoys more than 8Cu.m luggage space. Pantographic swing side luggage compartments, individual charging points, wide panoramic window views are some of features of the coach. Ashok Leyland has set an ambitious target of selling 1 vehicle abroad as against the 2 vehicles in domestic market. This means company has to strengthen the existing line up, reach out to new markets and adhere to new regulatory developments in the current markets. Ashok Leyland has a assembly facility in Ras Al Khaimah, and 1/3rd of Ashok Leyland’s exports are to GCC. Addressing the upcoming GSO norms, ‘Oyster’ a new 30 seater bu is launched and was completely developed and produced in UAE. 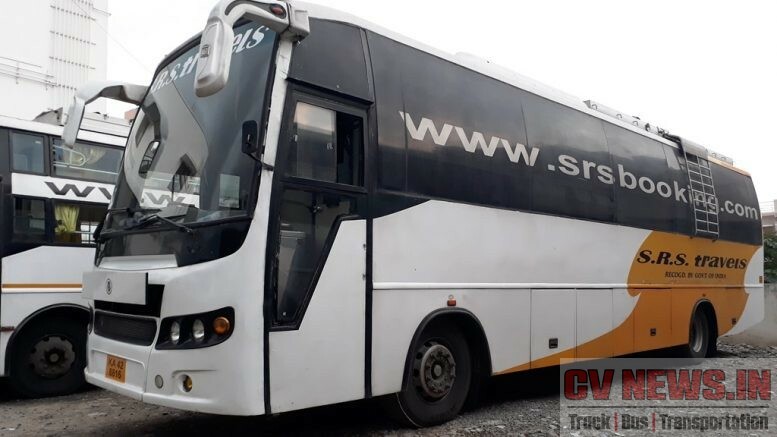 Mr. Rajive Saharia, President Global Sales and Distribution added “Oyster was launched in limited numbers in Saudi Arabia and we have done a sales of 200 buses in 3 months. For a market like Saudi Arabia, which is almost dead Oyster has started off in a great way. Later this month, We will launch in UAE and we have a volume projection of 1000 nos for this year”. Oyster is positioned in a way to take Toyota Coaster and Mitsubishi Rosa in their strong hold markets. The best part is, Oyster is priced matching to Japanese products and first 200 are sold in premium. Ashok Leyland has presented a good number of LHD trucks and buses that included Captain 4923 Tip-trailor LHD, Jan Bus LHD. 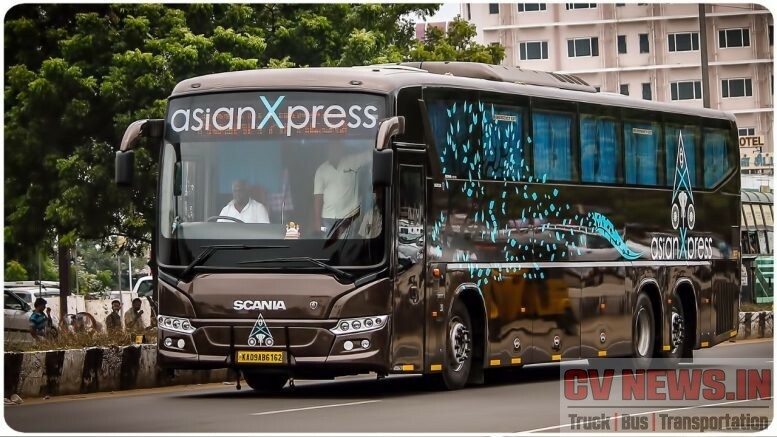 Jan bus which is few years old in Indian market is now fully matured to a LHD version, this shows the how ambitious and aggressive the company is towards Exports. Ashok Leyland was once competing for around 1% of defence budget overall. Even with that Ashok Leyland was supplying large number of logistics vehicles to Indian defence forces and Stallion is a highly successful platform ever developed by Ashok Leyland. A proud moment for Ashok Leyland is, more than 95% of piece keeping forces troops in Africa uses Ashok Leyland Stallion. Now going forward, Ashok Leyland will be competing to nothing less than 25% of defence budget overall. With more than 150 people working in defence products, Ashok Leyland is looking beyond India for defence products. 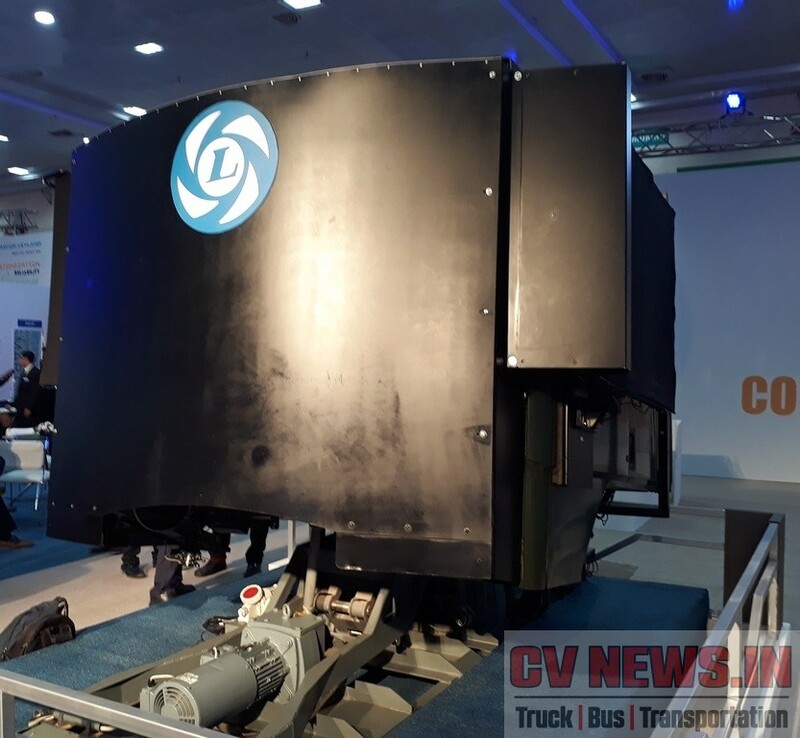 With technological tie-ups from SAAB, Sweden Ashok Leyland have developed a driver training simulator based on Stallion MK IV, which has one of the most sophisticated simulation software. This is already supplied to Artillery Centre, Nasik. Ashok Leyland has also won a new tender for mine protected vehicle to supply Indian army and many of them are already exported to African countries. 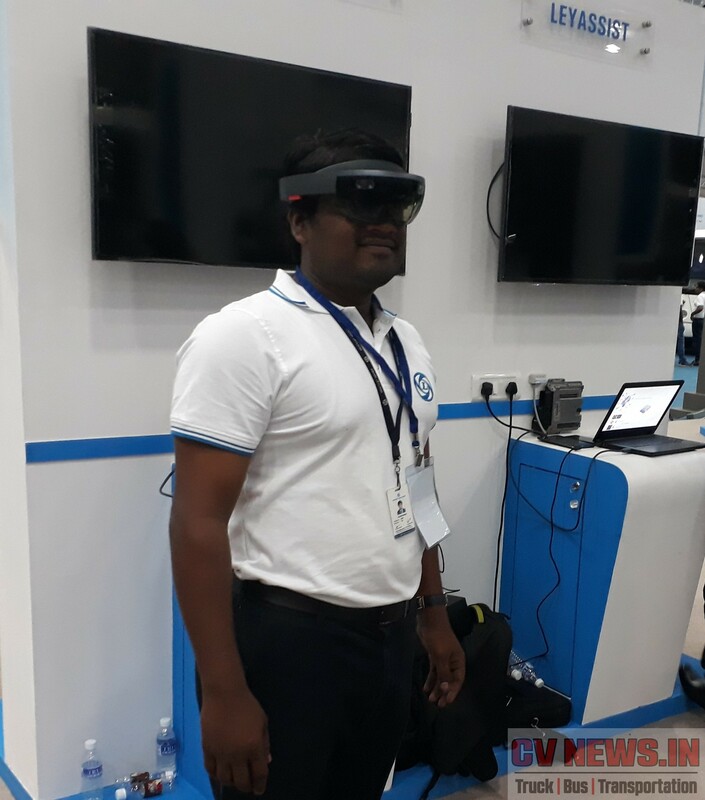 New developments are underway in developing Armoured and Amphibious vehicles, Futuristic Infantry Combat Vehicle (FICV), Upgrade tracked vehicles in a new facility that is getting ready inside Ennore plant. Ashok Leyland has fully integrated its LCV business into its portfolio and continues to maintain its momentum. Ashok Leyland is maintaining its Market share at 15% and its fully attributed to Dost. Ashok Leyland aims to launch one new product every 3 months and have already launched upgraded ‘Partner’ some time back. ‘Mitr’ is now promoted in a large school bus exhibitions which was done across India and continue to receive good Customer reception. 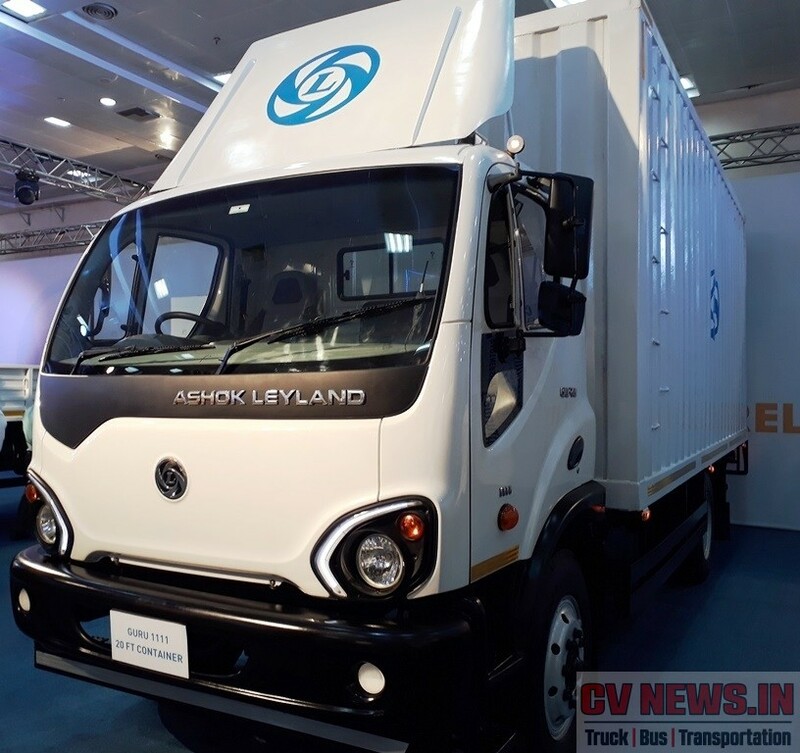 Technology wise Ashok Leyland has been pioneering and always had an Indigenous touch in its development without just following what West has done. Starting from Jan Bus to Inline engines for BSIII emission norms the technological development was more towards Indian requirements. BS III Inline engines are one big attribute, that has helped Ashok Leyland to gain market share Year on Year. 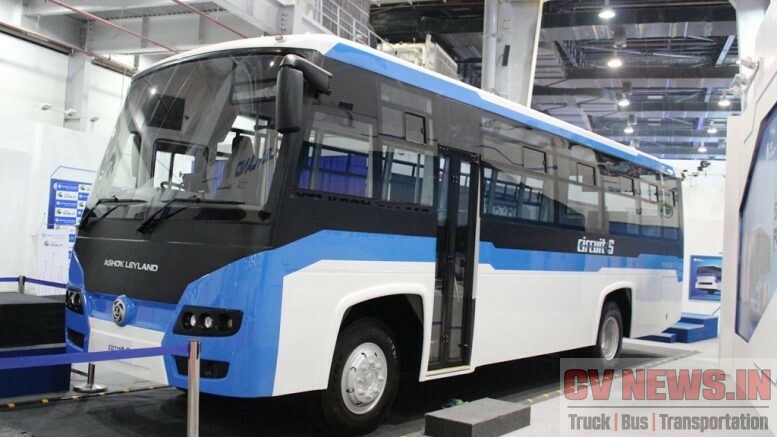 Otherside is Ashok Leyland is already making Euro 5 vehicles and the kits are made and exported to Ukrain and assembled by Etalon, Ukrain. 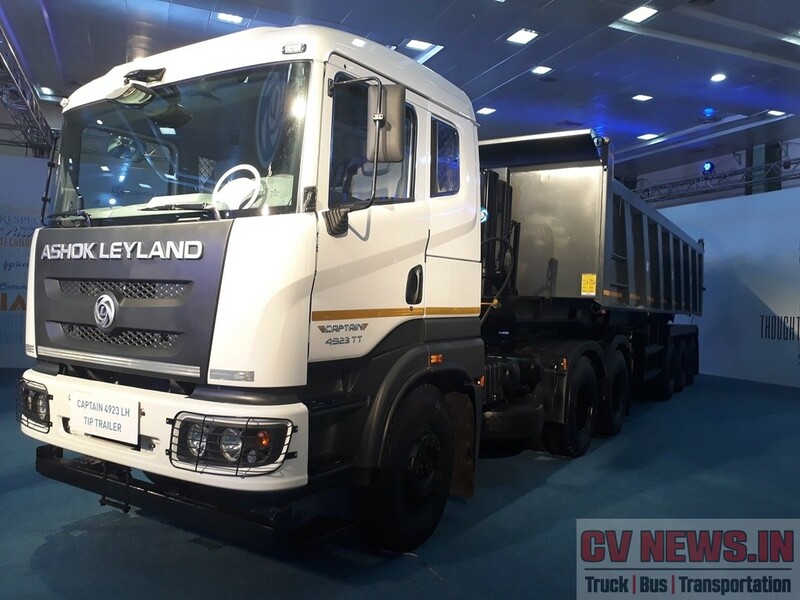 Ashok Leyland has already showcased a working Euro 6 Tractor based on Captain and a separate team is working in the development. ” We are already working in full swing on Euro 6 and by next year our trucks will be field tested in Assam, Rajasthan and other high humid areas” added Dr. Seshu Bhagavathula, Chief Technology Officer. Ashok Leyland has just launched Intelligent Exhaust Gas Circulation, iEGR technology for Indian market. Ashok Leyland claims to have simpler system suited for India inspite of the fact Ashok Leyland owns Albonair which is one of the largest companies in the field of SCR. Also Ashok Leyland trucks and buses will now be coming with new age telematics which will not just give the location of trucks but the health of trucks as well. Service has played a very key role in gaining market share and Ashok Leyland has a number of ways in a manner Customer can be reached. From little over 250 outlets some times back Ashok Leyland’s touch points is more than 2600 numbers presently. Company has Mobile Wheel Alignment Facility, an eComet or a Boss which can go on site of a break down for immediate resolution and better uptime. Cutting-edge automated workshops ensure minimal repair time, improved labour productivity, higher inventory turnover and consistent service experience. Accident care call centre – 24×7 call centre that provides complete accident care for Ashok Leyland vehicles, Quick Service – Innovative service idea where a mechanic is dispatched on a two-wheeler as soon as a call is made after a breakdown resulting in quicker resolution of the problem. ‘Ley Assist’ is new break through service application that works with Bluetooth and a smart phone. Diagnosing an electronically controlled truck or bus has come a long way from laptop to scan tool to now smart phone. The vehicle responds to the application and complete diagnostics can be done through it. Ashok Leyland also ensures that their dealer’s are profitable. Ashok Leyland spends lot of time and money developing new systems to ensure dealers are making money. With new challenges ahead Team Ashok Leyland is excited about the year ahead and we are equally too, to garner more understanding of new launches to get our readers first hand information, as we are always. 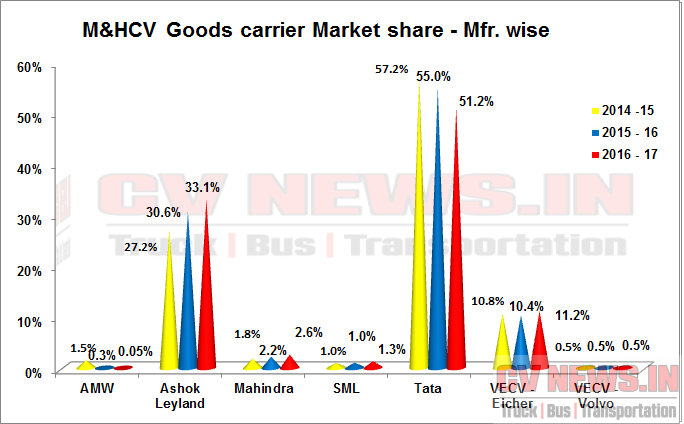 Be the first to comment on "Ashok Leyland outshines Competition – Strengthens market presence."